Trouble is, it can be hard to find. Let's solve that little problem right here and now. As our starting point: REI, the gear co-op with great customer service and an ever expanding selection of top brands. 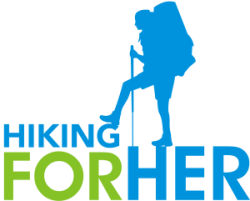 Hiking For Her is an REI affiliate as well as a co-op member (since 1977). 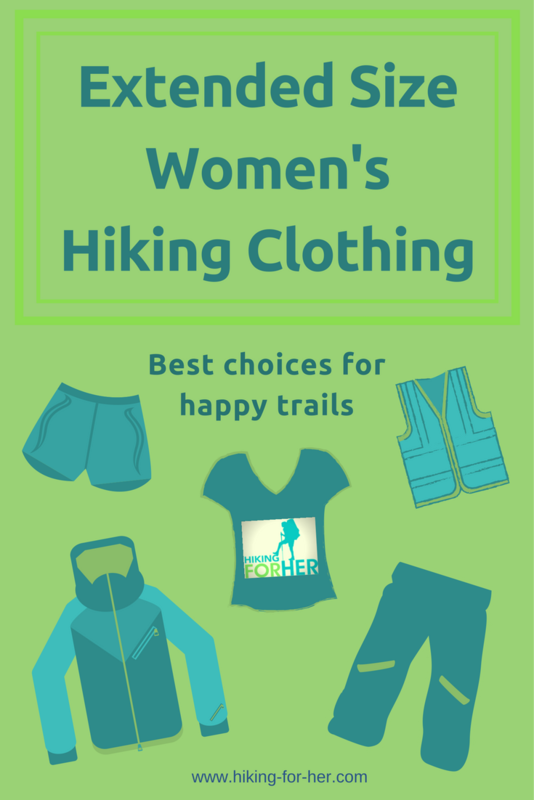 If you purchase the best extended size hiking clothing using the links on this website, it costs you nothing extra - but allows Hiking For Her to continue sharing free hiking tips with your virtual trail sisters across the globe. REI's clothing and gear selection has stood up admirably to Hiking For Her's test of time, and that's exactly why they make trail worthy recommendations for you! It can be overwhelming to make decisions about fabric, styles, and performance features as you wade through your choices for high performance outdoor clothing. Where to start with what to wear on a hike? A clothing layering system is the tried and true approach for versatility, durability, and comfort. As mentioned, Hiking For Her only recommends what works and keeps working, season after season. If you're just beginning your hunt for the best extended size hiking clothing, here's why starting with REI makes sense. REI has a straightforward, easy to navigate website. Choose "women" from the top pull down menu. Select "more sizes" in the bottom row. Zoom in on exactly what you're shopping for: pants, shirts, jackets. This is a smart approach for doing your background research on color and size availability. But sometimes you just have to run your hands over the fabric, scope out whether the navy blue is too dark or light for your taste, and get into that dressing room with an armful of options. REI stores are a dream to wander through. Make a beeline for the women's clothing so you don't end up looking at backpacking tents for two hours. Nothing like that ever happens to women hikers, of course! Choose a week day, and time of day, when the store won't be swamped with holiday or peak season shoppers. The following recommendations are chosen carefully to focus your time and attention on top brands that pay attention to not only sizing, but details that really matter to a hiker. And they are all brands that Hiking For Her can heartily recommend, based on decades of trail experience. Click on each photo for technical details, pricing, and unscripted reviews from women hikers. We're going to build a layering system to keep your neck and torso comfortable during your hike. Layering in cold weather can get tricky, because you want to be warm when you start hiking without getting too warm as you begin to generate body heat. You also want to choose a shirt fabric that can wick away your perspiration. Otherwise, you'll shiver when you slow down or stop for lunch. And being encased in a dripping wet shirt? No thanks! 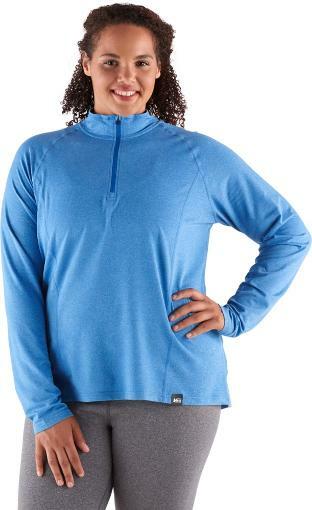 This REI Co-op quarter-zip shirt makes a great choice. Now you can turn your attention to a versatile piece of mid layer clothing to remove, or don, according to your comfort level and changing trail conditions. Just some of the reasons why a vest from REI Co-op is one of the best extended size hiking clothing choices you can make! For cold, dry and/or windy conditions, down jackets can get the job done. Why is it trail worthy? The outer nylon shell repels water, allowing you to easily shed snow sliding off trees or rocky overhangs. 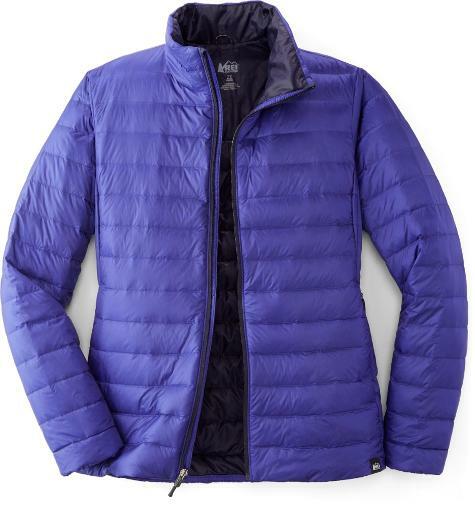 The down is 650-fill-power, giving you lots of warmth for not a lot of weight (less than 9 ounces). 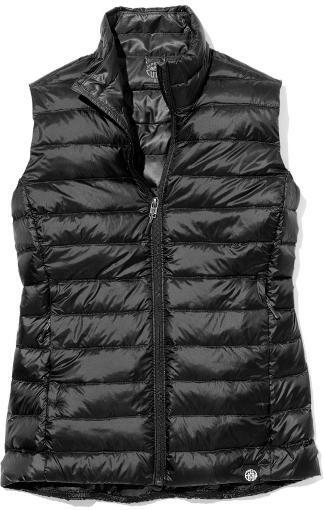 As for the down vest above, this jacket can be balled up and ride along in your backpack without taking up much room, thanks to the fact that you can compress it into its own left sided pocket! Both pockets have zipper closures, creating secure places to stash gloves and a headband. The price point is very reasonable for a jacket of this quality, but not so high as to cause panic if you snag it on a rough rock edge. Now that we've built a bomb proof top layering system, let's explore good clothing options for the lower half of your body. Your legs and feet need to stay as warm and dry as possible, because they are your ticket back to the trailhead. It's hard to take off bottom layers without removing boots and thus exposing yourself to getting wet and cold. So bottom layering is a bit more permanent, and thus needs extra care in selection. 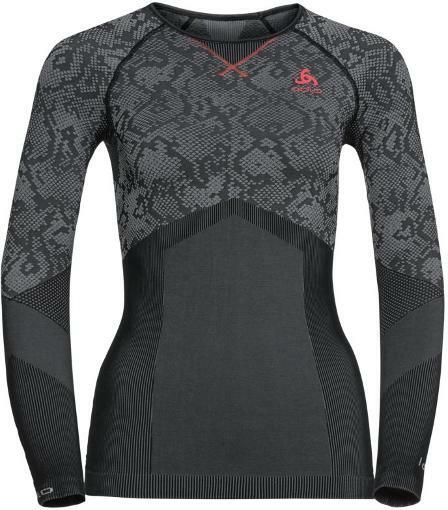 And here's a nice feminine feature: there's a matching long sleeved base layer! For extreme temperatures, pull on this long underwear top before you begin the layering sequence discussed above. Leggings are another great choice for your base layer. They have a lot of give and freedom of movement, while insulating and protecting your waist and legs - like these Columbia Luminary leggings. 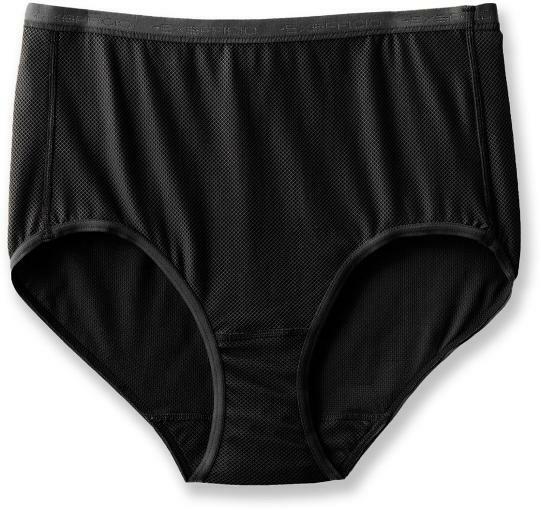 These are nice because they're stretchy but not bulky. They are long enough to cover your ankle area, too. Customize the fit with the drawstring waist band. These have pockets - great for when you're lounging around in them at home. And on milder days, they stand alone for running errands or walking the dog! Your skeletal muscle contractions are going to generate a lot of heat, which will be trapped beneath these pants and your base layer(s). If you're a beginner hiker, trust me on this. You'll find that you may run too hot in bulky layers. These are great pants to bring along on every hike, regardless of season. They pack down small, yet work hard to protect you from dripping vegetation along the trail as well as wet sitting rocks at rest stops. base layer + rain pants? These warm Columbia Storm Slope snow pants will accomplish your objective of staying warm and dry with just one layer, thanks to some excellent features. Fabulous for snowshoeing adventures, too! You came seeking the best extended size hiking clothing for cool weather hikes, and you found it. Critical components for a comfortable hike, right? Best choices for extended size sports bras. Choose wicking fabric that moves with you, and just enough coverage to prevent chafing from other layers and your backpack. REI is carrying more and more options for women, and this page will be updated for you as the seasons roll along. Bookmark it, and you'll never have to hunt for what's new and improved. Contact me here if you'd like more information on technical details, or how this clothing would perform on your preferred hiking trails. I'm always glad to help! Need the best warm weather extended size hiking clothes? For more tips about how to choose the best extended size hiking clothing, read this.